Robert Smirke was an English architect, one of the leaders of Greek Revival architecture, though he also designed using other architectural styles. Smirke designed the main block and facade of the British Museum, perhaps his best-known work. In 1796 he began his studies at the Royal Academy winning the Silver Medal that year, also winning the same year the Silver Palette of the Royal Society for the encouragement of Arts, Manufactures & Commerce, he was awarded the Gold Medal of the Royal Academy in 1799 for his design for a National Museum. After leaving Soane he depended on George Dance the Younger and a surveyor called Thomas Bush for his training. From 1801 to 1805 he embarked on the Grand Tour, he studied architecture in southern Europe. Accompanied by his elder brother Richard, his itinerary can be followed by the series of letters he wrote, Brussels, as Britain was at war, in order to visit Paris they disguised themselves as Americans, Berlin, Potsdam, Prague, Dresden, Vienna. Visiting Italy, including, Florence, Venice, Padua, Genoa, Vicenza, Rome, Naples, and Sicily then on to Greece, visiting Corinth, Athens, Delphi, Thebes and Olympia. He drew most of the ancient buildings in Morea. In 1805 he joined the Society of Antiquaries of London and the Architects' Club. In 1806 he published the first and only volume of an intended series of books Specimens of Continental Architecture. Smirke's first official appointment came in 1807 when he was made architect to the Royal Mint. He was elected a A.R.A. (Associate of the Royal Academy) in 1808, an R.A. (Royal Academician) in 1811. Smirke's relations with Soane reached a low point after Soane who had been appointed Professor of Architecture at the Royal Academy delivered his 4th lecture on 29 January 1810 in which he heavily criticised Smirke's design of the Covent Garden Opera House. Together with John Nash and Sir John Soane, he became an official architect to the Office of Works in 1813, thereby reaching the height of the profession. In 1819 he was made surveyor of the Inner Temple. In 1819 he married Laura Freston, daughter of The Reverend Anthony Freston the great-nephew of the architect Matthew Brettingham. The only child of the marriage was a daughter Laura. In 1820 he was made surveyor of the Duchy of Lancaster. He was knighted in 1832, and received the RIBA Royal Gold Medal for Architecture in 1853. Smirke lived at 81 Charlotte Street, London. A blue plaque commemorating his residence is on the outside of the building. 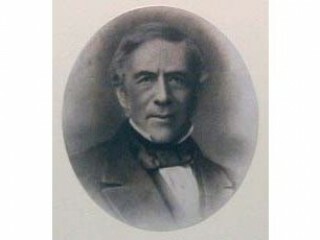 He retired from practise in 1845, after which Robert Peel made him a member of the Commission for London Improvements. .In 1859 he resigned from the Royal Academy and retired to Cheltenham, living in Montpellier House, Suffolk Square, where he died on 18 April 1867, he is buried in the churchyard at St Peter's Church, Leckhampton. His estate was worth £90,000. He is known to have designed or remodelled over twenty churches, more than fifty public buildings and more than sixty private houses. The rapid rise of Smirke is down to political patronage. He was a Tory at a time when this party was in the ascendant. His friends at the Royal Academy such as Sir Thomas Lawrence, George Dance, Benjamin West and Joseph Farington were able to introduce him to patrons such as: John Hamilton, 1st Marquess of Abercorn; Henry Dundas, 1st Viscount Melville; Sir George Beaumont, 7th Baronet; George Hamilton-Gordon, 4th Earl of Aberdeen; Francis Seymour-Conway, 3rd Marquess of Hertford; Henry Bathurst, 3rd Earl Bathurst; John 'Mad Jack' Fuller and William Lowther, 2nd Earl of Lonsdale. These politicians and aristocrats ensured both rapid advancement and several were to commission buildings from Smirke. Smirke was a pioneer of using both concrete and cast iron. Examples of his buildings in which he used concrete foundations include: Millbank Penitentiary, the rebuilding of the London Custom House and the British Museum. Also he used large cast iron beams to support the floors of the upper galleries at the British Museum, these had to span 41 feet. A critic writing in 1828 in The Athenaeum stated "Mr. Smirke, is pre-eminent in construction: in this respect he has not his superior in the United Kingdom". James Fergusson writing in 1849 said "He was a first class builder architect, ....no building of his ever showed a flaw or failing and ....he was often called upon to remedy the defects of his brother artist." Smirke started to write a treatise on architecture c. 1815 and although he worked on it for about 10 years never completed it. In it he made his admiration for the architecture of ancient Greece plain. He described it as "the noblest", "simple, grand, magnificent", "with its other merits it has a kind of primal simplicity". This he contrasted with the Architecture of ancient Rome which he described as "corrupt Roman taste", "An excess of ornament is in all cases a sympton [Sic] of a vulgar or degenerate taste". Of Gothic architecture he described as '"till its despicable remains were almost everywhere superseded by that singular and mysterious compound of styles". His pupils included his brother Sydney as well as Lewis Vulliamy, William Burn, Charles Robert Cockerell, Henry Jones Underwood and Henry Roberts.